Freelancers, should you set up a business bank account? 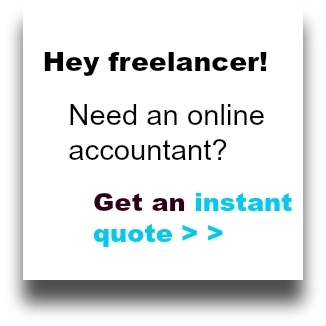 Financial worries are common enough for people both experienced and new to the world of freelancing. There are pensions and mortgages and holiday pay to consider and prepare for. Even more basic than this is banking. Have you considered how your banking decisions might be affecting your business? As freelancers are often hesitant to call themselves business owners, the idea of setting up a business bank account might not even cross your mind. You might be planning to use your personal account as this might seem like the simplest option. While there’s nothing necessarily wrong with this, you might want to consider the benefits of setting up a business bank account. Why set up a business bank account? The main reason why setting up a business account is that it’s much easier to keep track of your business expenses and income if they’re separate from your personal finances. If everything is in the same account, then it’s easy to get confused and lose track. Should you want to apply for a mortgage or another loan, lenders will often want to see reports of your earnings for the past couple of years. It’s a lot easier to show them if you have a separate bank account for your business as it is easier for them to see how well your business is doing and then approve you for a loan. While you’re not legally obligated to set up a business account, some banks might prefer it and have conditions which restrict you from using your current account for business purposes. You will have to check this with your current bank and weigh up all your options. Shop around for the best interest rates. Some banks don’t offer interest rates for business accounts at all, so it’s a good idea to shop around and take a look at various accounts before you commit to one bank. It’s a good idea to look for a high interest account to set aside money for taxes. That way you can pay the tax and potentially have some left over that can go back to you or into the business. Some start-up bank accounts are free for a period, usually about a year or 18 months before they start charging you. So make sure you don’t forget if and when the fees come into place so that you’re not left with a nasty surprise. Always check for hidden fees before you sign up to anything like a bank account. You need to see what interest rates and penalties for late payments are like so that you’re not stung and caught out later. This may not be a priority for everyone but for those freelancers who work with international clients, this can be a huge issue. You obviously need to get paid and dealing with different countries, laws and currencies can be a bit of a headache. You will want a bank account that makes this as easy as possible. So before you decide on a bank account, make sure you bear this in mind. *Monizo, a UK based start-up is in the process of launching a new bank designed with freelancers in mind. Founders Sam O’Connor and Adam Goodall met while working as accountants for PwC and eventually became freelancers. They recognised that current banking services can be inconvenient for freelancers who find managing money difficult because of the nature of the work. Freelancers don’t tend to have a consistent income and their income often comes from different sources. This can make financial services, mortgages, pensions and taxes a little trickier. The bank will offer unique services including instant notifications for expenses, payments and reminders for late receipts. You can access tax calculations on the go and even have your tax automatically set aside so that you’re prepared. You can also see you monthly incomings and outgoings in one place in a way that’s quick and easy to understand. A waiting list has now been created for interested freelancers and a beta version will be available to people on it. Around 5.4 million freelancers are currently living in the UK. A further 53 million freelancers are thought to be in the US. This is something that could benefit a growing number of people if it takes off. Have you got any thoughts on banking services for freelancers? What do you look for in a bank? Let us know your thoughts in the comments below. Previous post Freelancers, are you making any of these common social media mistakes?